We offer a large variety of grass seeds and fertilizers to beautify your lawn. We also carry fertilizers for annual flowers, perennials, trees, and vegetable plants. We carry grass seed that is hardy to our area and will survive and thrive in our climate. Stop in today so we can help you achieve a beautiful yard! Grahek's Inc. offers top-quality seeds and fertilizers to help property owners like you achieve verdant landscapes and lawns. The products we offer are carefully selected by our landscaping personnel. We also test these products before we sell them to our valued clients. This means that you will only get seed and fertilizers that meet our stringent standards. For example, the fertilizer brands that we offer are environment-friendly and proven top-quality. Seeding a new lawn is not only a tedious task but also require knowledge of the right seeding methods and techniques. If you want the task done efficiently and promptly, call us at Grahek's Inc. We have experienced people who can perform the task and ensure that the seeds will grow and thrive on your lawn. We use modern and effective methods such as hydroseeding. For fertilization, we use task-appropriate tools to ensure 100 coverage of your lawn or landscaped area. 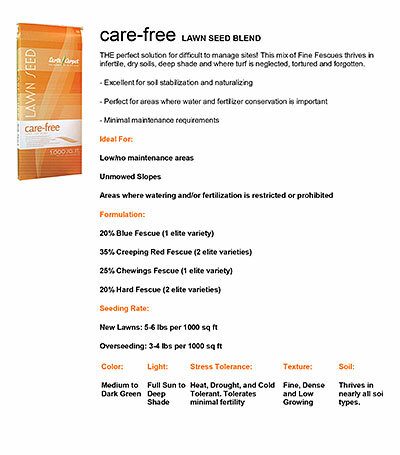 We also recommend the right blend and type of fertilizer for your plantings. Choosing Grahek's Inc. for your landscaping needs is the right thing to do. For one, we maintain a large inventory of landscaping materials and supplies. We offer different varieties of grass seeds as well as premium fertilizers for your trees, annuals, perennials, and shrubs. Whether you are a DIY homeowner or a landscaping contractor looking for a reliable supplier of grass seeds and fertilizers, we can serve your needs. We can even deliver volume orders if you're from Cadillac and surrounding area. Please call us at (231) 775-9362 for details.